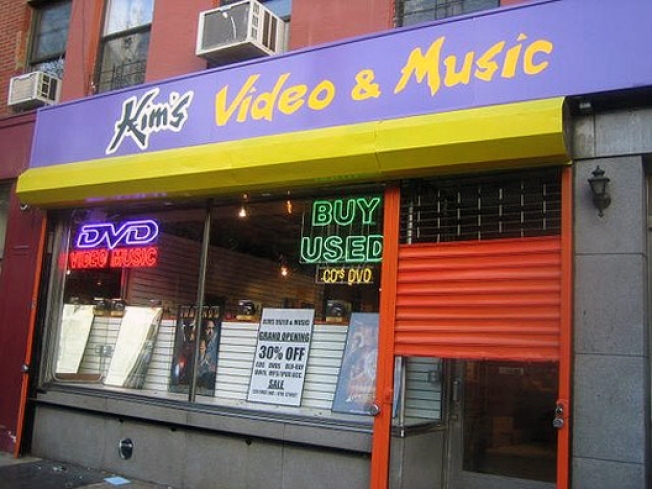 We're not sure how we missed the article in the New York Observer about the closing of Mondo Kim's on St. Mark's Place. It doesn't contain much in the way of useful new information, but it is chock full of East Village trivia. Did you know, for example, that "between 1834 and 1836, the building was the winter residence of James Fenimore Cooper"? Or that "Kim's founder and namesake, the reclusive Yongman Kim, got into the video business in 1987, when he devoted a corner of his Avenue A dry cleaning shop to rentals"? The most useful factoid of the day, though, comes from tireless Kim's reporter Jeremiah of Vanishing New York, who announces that the new Kim's on First Avenue will open tomorrow.